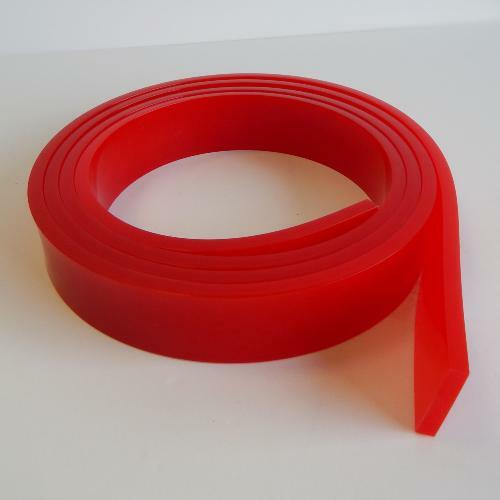 APOLAN screen printing squeegees are an extremely good value, high resistant, tough and durable range of Squeegee blades. Throughout the range, you'll find various shore hardness's to suit every print application, all maintaining good performance across the range of moulded products. APOLAN screen printing squeegees are made from the toughest polyurethane formulation; very abrasion resistant and solvent resistant. Overall, this is an all round product that offers the ultimate in squeegee performance. A good all round product, suited to all graphic, textile and industrial screen printers.